Were you or a loved one on board South West Flight 31? Southwest Airlines Flight 31 was involved in an accident upon landing at Nashville’s BNA airport. The accident is being investigated by the National Transportation Safety Board (NTSB) and the Federal Aviation Administration (FAA). SW Flight 31 originated in Houston and landed at Nashville’s BNA Airport on Tuesday December 15, 2015. While the flight to Nashville was uneventful; however, an unidentified mechanical failure appeared to occur while the plane was taxiing to the concourse. This resulted in the Boeing 700 series jet skidding on its nose before ending up in a ditch beside the runway. While there is video of the accident, it is unclear exactly what happened to the aircraft except that its nose made contact with the pavement and then the plane veered off the runway. The Davidson County Fire Chief stated it was “either a blown tire or the nose gear collapsed”. The passengers evacuated Flight 31 via the emergency chutes. Of the 133 passengers and 5 crew aboard the flight, at least 8 people were injured and many others suffered emotional trauma resulting from the accident. 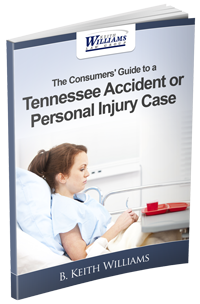 Our firm, Keith Williams Law Group in Nashville, has been at the forefront of aviation injury cases for over a decade. Led by Founder Keith Williams, our firm has represented families who have lost loved ones in crashes (Comair 5191 in Lexington Kentucky) as well as passengers injured in aviation accidents. Most recently, Keith Williams Law Group has been retained by several passengers of Southwest Flight 345, which originated in Nashville and endured a “hard landing” on July 22, 2013 at LaGuardia Airport. When the plane touched down on its nose gear, instead of on its main landing gear, the nose gear collapsed. Several passengers were treated at the hospital and on scene for physical trauma, while many more suffered anxiety related trauma. The NTSB has released its final report and it found that pilot error on several levels contributed to the crash. Injured on Southwest Flight 31? Passengers on board an aircraft expect a safe trip to their destination. If an accident occurs, regardless if it is pilot error or a failure of equipment (due to either negligent maintenance or a defective product), they should be compensated for their harms and losses if an accident occurs. The maze of red tape the airlines forces those harmed to go through is intimidating and purposefully so. If you need help in negotiating your way through it, please give us a call at 615-313-3999. We’ll be happy to schedule a no cost, no pressure consultation to go over your situation and help ensure you are treated fairly. 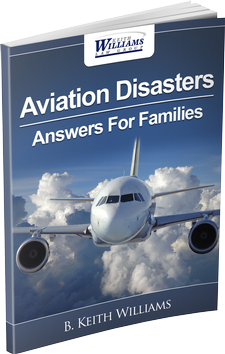 Aviation accidents include everything from large commercial airliner crashes to crashes involving small private planes and helicopters.